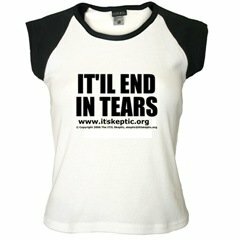 This has been a quiet month for the IT Skeptic website, but not for the IT Skeptic. The Raroa Coding Gnome (another alter-ego) has been busy developing our new OReckon project that will be piloted on the IT Skeptic website before too long. Add to that a family crisis and a week in the mountains with my son and the month is suddenly behind us without an awful lot on the blog. The greatest excitement of the month was a set of allegations about the itSMF posted as comments by one Dr. Julie Linden. Don't rush off to look at them: much as I love a little scuttlebutt I had to edit them out - they were frankly libelous and (so far) totally unsubstantiated. I don't remove stuff willingly (except spam and blatant commercials, which are ruthlessly expunged). I'm not happy about taking the allegations down. If and when there is evidence substantial enough to take on the most powerful, wealthy and litigous organisations in ITSM, the IT Skeptic will be first to daylight it (if Julie forgives me). The other defining characteristic of the month for me was continuing frustration at OGC's and APMG's failure to act in the ongoing fiasco which is the ITIL certification industry right now. Nothing has changed since my tirade in last month's newsletter, which shows how much the ITIL establishment notices my few rocks tossed at the castle walls. It is terrible the way the training industry powers ahead in full gear, churning out ITIL Version 2 certifications without any direction as to whether they should be, under what terms, and just what the results are worth. Next month I have the local itSMF national conference and I'll be presenting at the bITa USA Conference in Boston. We will also be on the home run to Refresh Day, May 31st. And Dr. Linden just may come up with something sensational. So I look forward to a more active and exciting month coming for the IT Skeptic website. (There is a pattern here: in January my son and I went camping in LOTR's Rivendell. 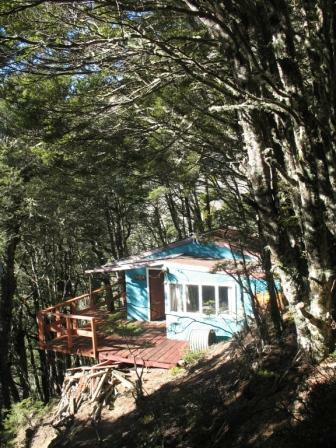 This month we went to our hut which is near another LOTR set). So sit back, relax and enjoy a low-key Skeptical informer for April, with a promise of more exciting times to come. These are the IT Skeptic's picks from the comments of April 2007. As I said, it was quiet month, but the comments area was the most active. I wish I could print the allegations that appeared but my lawyer would kill me. 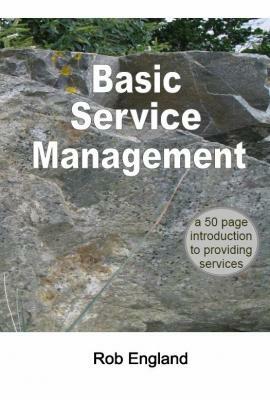 ...ITIL is a big moneyspinner and, on the course I did of around 30 students, not a single person failed. It's a big club with no substance for the boys (and girls) who want a new evangalistic pseudo-religion in the workplace. ...Isn't it great that ITIL doesn't tell you how to implement stuff because that way it can't tell you how much you need to spend! ...the fact is that once the market for ITIL resources gets at all competitive (and no sign of that here - desperate shortages of people), when that day comes a V3 Manager's cert beats a V2 Manager's cert... Pink reckon Foundation training will be available pretty soon after the June release. The word is that practitioner and manager certs are likely not to be out until end of year. they will be more radically revised, especially the practitioner groupings which will completely change. I am now in the middle of my Service Manager course as the provider in Canada (eduCORE) committed in writing to provide the one-day refresh to v3 for free once the material becomes available. Perhaps we can shame some of the other providers into making this the standard? The level of thoughtfulness and thoroughness given to training and certification reflects the mindset and capability of the underlying "product" - ITIL v.3. Extremely bureaucratic, little attention to realities, etc. Did they honestly expect the training companies to just shut down for six months to a year while they mucked about slowly making up their minds? More bureaucratic buffoonery from the clodpated ITIL Brits. Consolidating server sprawl is a cyclic event driven by cost. If they happen to implement application rationalization, rarely do the architectures revert to "putting it in one place"...I helped Google architect their infrastructure - the only semblence of centralization is the output on your browser and even that is an illusion. I'd give more detail but they take NDAs very seriously...There has always been and will continue to be strong advocates for centralized control. The ITU vs. the IETF is my favorite. The DRM advocates are another. But the strategy of "putting things in one place" usually doesn't work for long. Honeywell is going live with a behind-the-firewall tagging capability...This is interesting for a number of reasons...Of course, it could be nothing more than hype. last year we had Sharon webinaring using Frontrange and now its Axioss - when weill we ever get a NON-VENDOR webinar for us folks in the trenches.. doesn't sound or feel vendor neutral to me. Readers will see that three of the posts by Dr Linden have been edited to remove unsubstantiated allegations. The IT Skeptic is unwilling to take such action in a free and open forum, but the allegations are too serious to be allowed to stand without adequate (or indeed any) evidence. A favourite saying of skeptics is "extraordinary claims require extraordinary evidence". [Will the IT Skeptic lose anonymity by speaking at the bITa USA conference?] We've discussed my wearing a burqa, which would also improve my looks. More on ITIL Version 3 certification from Pink Elephant, so good on Pink for giving us some transparency into their thinking. Unfortunately that thinking is a bit alarming. OGC's and APMG's failure to act in the ongoing fiasco which is the ITIL certification industry right now is unacceptable. This discussion of CMDB and its total impracticality has got legs. Let me reinforce two points please: (1) CMDB can't be done because of the data and regardless of the implementation and (2) I'm talking about CMDB as specified by the ITIL books, not any old database. It can't be done.